In the new title, Betty and Veronica are both enlisted as foreign exchange students, and set off on a travel adventure away from Riverdale. Meanwhile, Riverdale High gets in turn two foreign exchange students, who get Archie’s attention (and vice-versa). I can see the advantage of expanding to a second magazine. 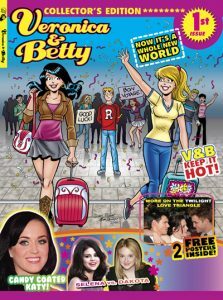 While the Archie digests are pretty widespread in supermarkets and newsstands, magazines would allow Archie an even bigger presence in stores. I’ve seen “Life With Archie” carried at my neighborhood Walgreens (which normally doesn’t carry any comics), as well as the supermarket. 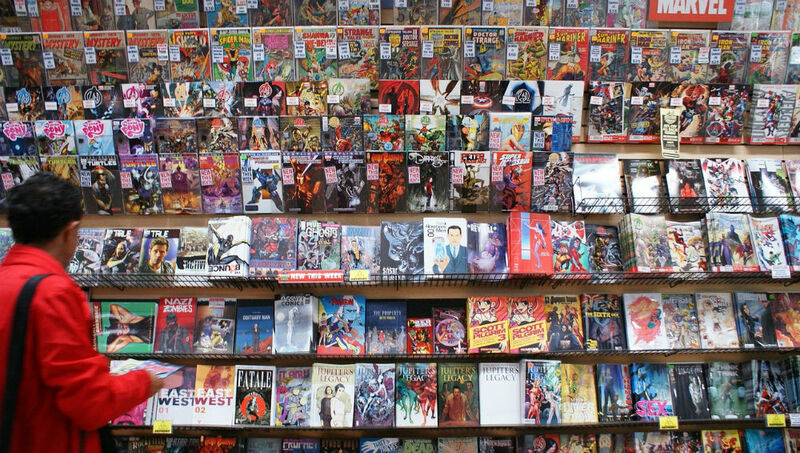 It’d also allow Archie to publish a magazine set in the “mainstream” Archie universe, and thus more closely tie into the rest of their books, versus “Life”‘s future settings. One observation about the magazine’s title: “Veronica and Betty?” I wonder why they decided to give Veronica top-billing, given for decades it’s always been “Betty and Veronica” (akin to how you wouldn’t find “The Brain and Pinky,” or “Barney Rubble and Fred Flintstone”). Johanna at Comics Worth Reading suggests it’s to differentiate the magazine from the various comics/digests named “Betty and Veronica.” Perhaps so, though still seems a bit unusual to see the two’s names reversed. On the other hand, it did make for this amusing gag-cover.